FREE Progresso Recipe Starters at Dollar Tree! Hurry and print this coupon – twice!Â You can score a couple of FREE Progresso Recipe Starters at Dollar Tree with coupon!Â Â Dollar Tree has them on sale for 2/$1, making them completely free after coupons! 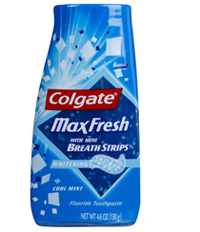 2 FREE Colgate Max Fresh toothpastes at Dollar Tree! Dollar Tree Stores have Colgate Max Fresh Toothpaste 4.6 oz. for $1, plus there is a $2/2 off Colgate Max Fresh Toothpaste Printable Coupon, making these 2 FREE after coupon! FREE Cepacol lozenges at Dollar Tree! Save $1 on your purchase of any (1) Cepacol sore throat product.Â Use this coupon at the Dollar Tree to score some FREE 16-count packages! FREE Popcorn, Indiana popcorn at Dollar Tree! I spotted these at Dollar Tree yesterday!Â They are bags of Popcorn, Indiana popcorn, and of course, they were $1.Â Â Use this $1 coupon and score them for FREE!! FREE Cepacol losenges at Dollar Tree! 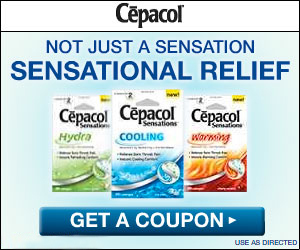 Hurry and print thisÂ $1 coupon off Cepacol! Redeem at your local Dollar Tree, where a 16 ct package is just $1.00, and score them for FREE! Betty Crocker Cookie Mix – just 50Â¢ at Dollar Tree! Grab this 50Â¢/1 Betty Crocker Cookie Mix printable coupon to pick up some cookie mix for as low as 50Â¢ at Dollar Tree this week! Dollar Tree has 16 -count boxes of Efferdent for $1.00.Â Use this printable coupon and score them for FREE!